The Philips BDM4037UW is the latest addition to Philips Brilliance series monitors. It offers a curved screen with a subtle 3000R curvature for an immersive viewing experience and a high-contrast VA panel with ultra wide-color technology. 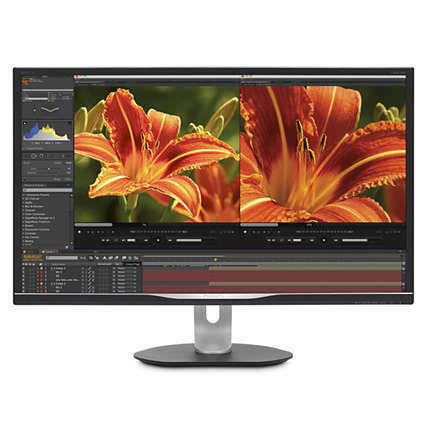 Sporting the 4K UHD resolution, the display offers spacious and highly-detailed image quality which along the extensive connectivity and minimalistic design make for an exceptional office monitor. 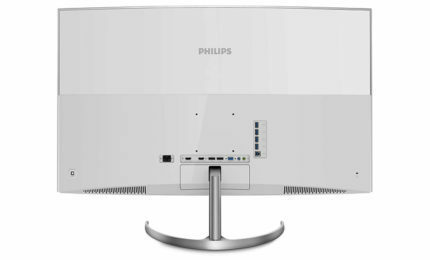 The panel choice for the Philips Brilliance BDM4037UW is a VA instead of an IPS which will give the picture a higher static contrast ratio at 4,000:1. This allows for a superior relation between the brightest and the darkest colors as well as more shadow detail. The display supports 10-bit color depth through dithering (8-bit + FRC) and 12-bit internal LUT processing. The ultra wide color technology provides a generous color gamut including 110% coverage of the sRGB and 80% Adobe RGB color spaces. The actual contrast ratio amounts to a bit lower value than the specified one, but the Philips BDM4037UW display still delivers a brilliant image quality with an excellent gamma performance and color uniformity. The monitor also offers a feature called the SmartUniformity which ensures 95% brightness uniformity at a cost of a slightly reduced overall brightness level. The UHD 4K resolution on a 40-inch screen results in 110 pixels per inch which is a solid pixel density and provides a crisp and sharp image quality with vivid details. The Philips BDM4037UW is marketed as an office monitor, but at this price point, you would expect a decent movie watching and casual gaming experience as well. Unfortunately, the ghosting is quite evident while gaming even when the SmartResponse feature is enabled. Moreover, every once in a while, the monitor displays a warning not to leave the image static for more than 30 minutes. It’s a real shame that the Philips BDM4037UW monitor has these flaws considering its otherwise amazing image quality, color performance, and even input lag, among other things. Due to its flaws, the Philips BDM4037UW is mostly suited for office work and casual movie watching and gaming. 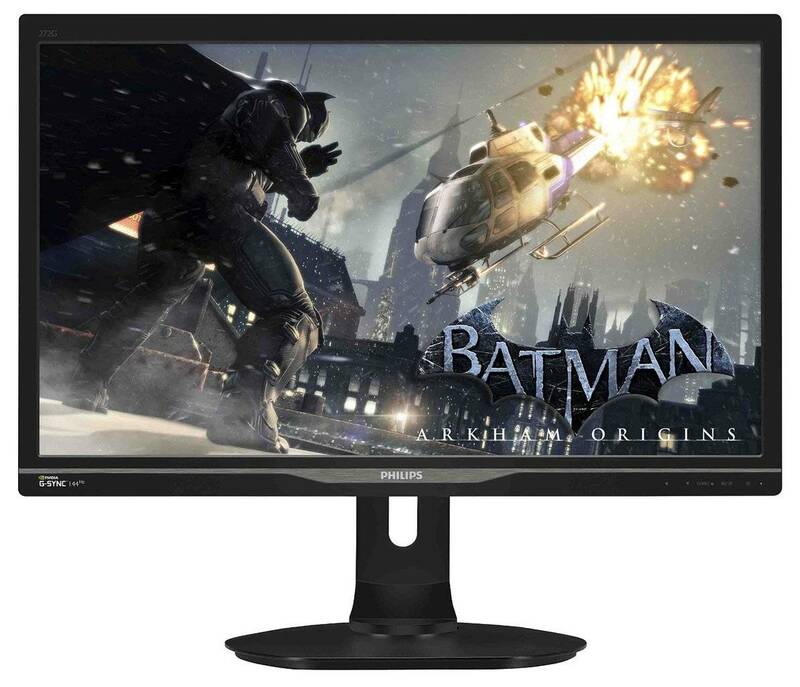 If you’re looking for a gaming monitor at this price point, it should certainly offer adaptive-sync technology and a higher refresh rate. Like the previous Brillance monitors, the Philips BDM4037UW offers the MultiView feature which allows you to display multiple devices on the screen via the Picture by Picture or Picture in Picture modes. You’ll be able to quickly swap between these features with the OSD joystick which is placed at the rear side of the monitor. Additionally, the SmartImage feature allows you to navigate between the pre-calibrated picture presets such as Office, Photo, Movie, Game, Economy, and SmartUniformity. This feature dynamically optimizes the contrast, color saturation, and sharpness parameters by analyzing on-screen content. In turn, you get the best image quality possible depending on what you’re doing on the screen. Another interesting feature of the Philips BDM4037UW VA display is its ability to set different refresh rates such as 23Hz, 24Hz, 30Hz, and 60Hz in order to match the FPS (Frames Per Second) rate of the video content you’re watching. The panel doesn’t use PWM (Pulse Width Modulation), it’s flicker-free, so you can watch the screen for hours without feeling eye fatigue. This simple yet beautiful monitor features a glossy white finish with a slim silver bezel and a curved gray pedestal. The Philips BDM4037UW is VESA mount compatible for easy installment on the wall or a mounting arm, however, other ergonomic features include only -5, 10 degrees of tilt. The bezel is quite thin, it’s only 12.5 mm at the sides and top bezel while the bottom bezel is 19mm wide. The screen is covered by a light layer of anti-glare coating which eliminates the sunlight reflection while preserving the image quality from too much grain. The plethora of connectivity options includes a VGA, two DisplayPort 1.2, an HDMI 1.4, and an HDMI 2.0 port; the VGA port maxes out at 1080p. Both HDMI ports offer MHL support for the effortless content streaming via the compatible mobile devices. There are also four USB 3.0 ports, one of which offers the fast charging capability. Lastly, there are two audio jacks, one for the 5W built-in speakers and the other for headphones. The combination of the MultiView feature and the extensive connectivity allows you to have multiple PCs and/or other devices connected and simultaneously enjoy four Full HD images on the screen, or quickly swap between the source inputs without reconnecting the cables. At the moment (June 2017), the Philips BDM4037UW price amounts to $976. If it weren’t for the ghosting issues, the monitor would be perfect for all-around use. This way, it’s suitable for office use and casual multimedia activities, although, in fast-paced video games, the amount of ghosting and trailing of the fast moving objects is bothersome. The Philips BDM4037UW 4K monitor offers an outstanding image quality with a superior contrast ratio, vibrant colors, and uniform brightness thanks to its high-quality VA panel. 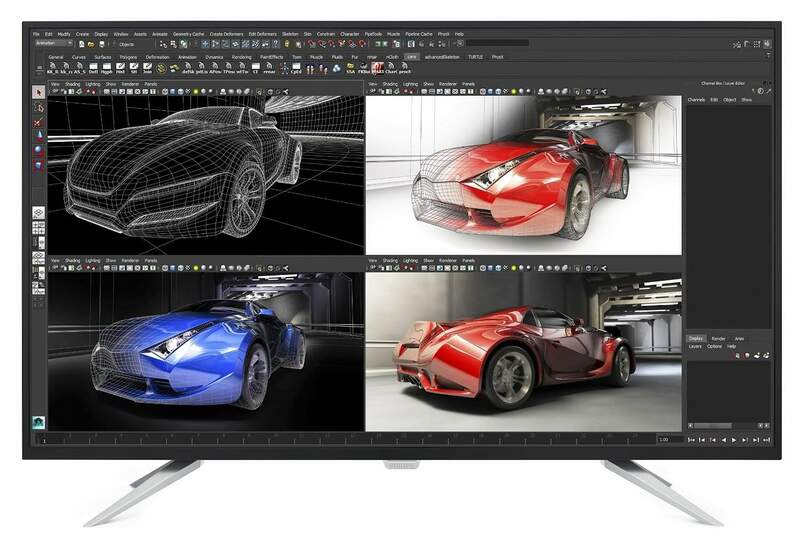 The extensive connectivity options, thin-bezel design, and exclusive features make it a great monitor for aspiring designers and professional office use. However, the ghosting issues will make every gamer look the other way which is acceptable as the monitor is advertised as an office display anyway. If it weren’t for ghosting, it would be a perfect 40-inch 4K display for all-around everyday use, this way it’s a solid choice for the big and fancy offices. 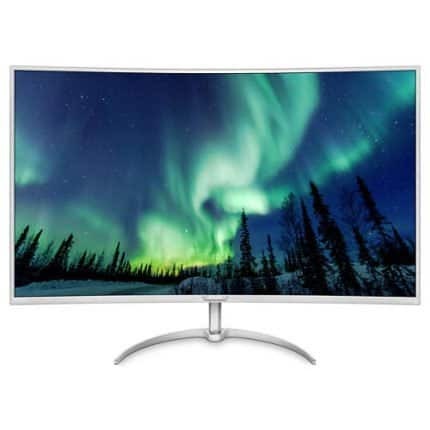 The Philips BDM4037UW is a stunning 40-inch monitor with a slim design, extensive connectivity options, and an exceptional image quality. However, due to its ghosting issues, it’s not recommended for gaming. It would be great if it came with freesync2 and a 24hz to 75+hz. Refresh range. And still had the same price.